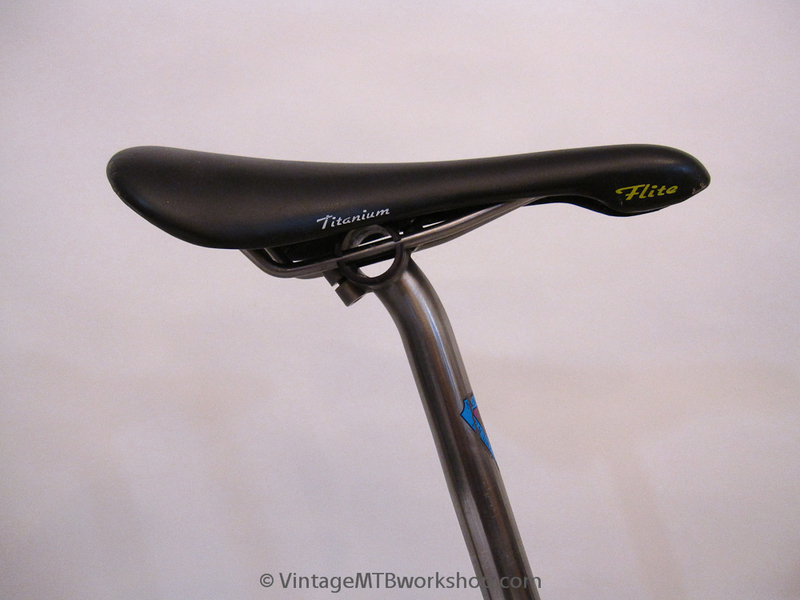 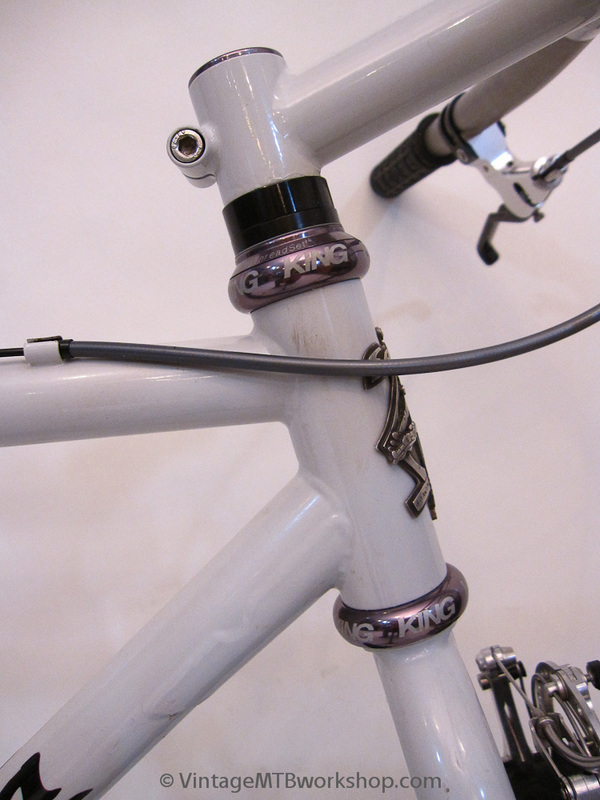 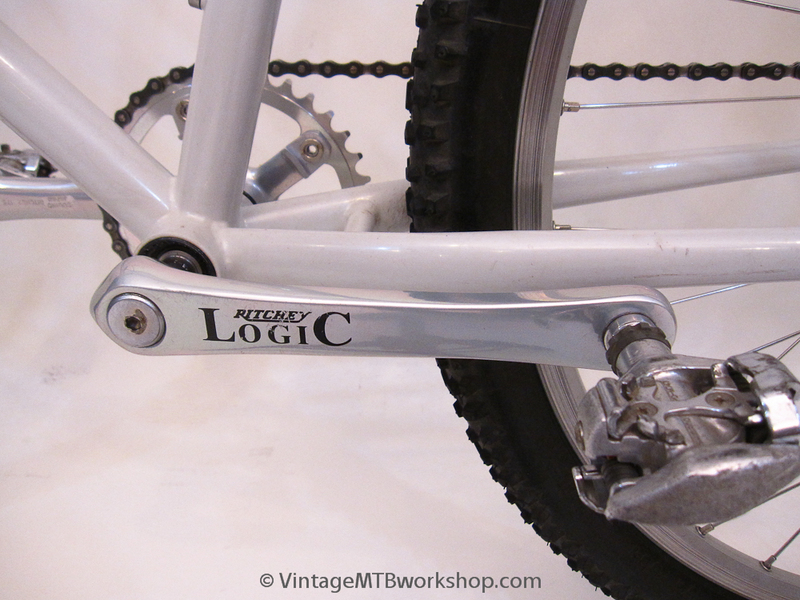 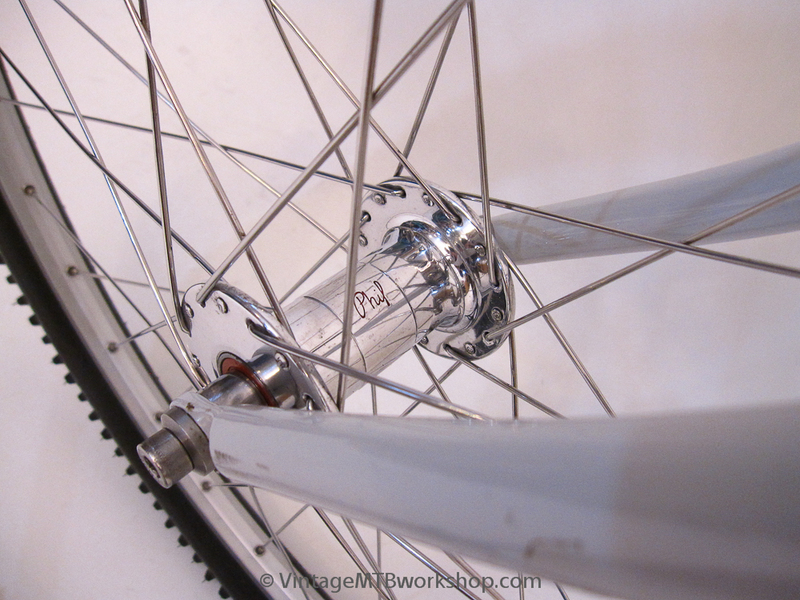 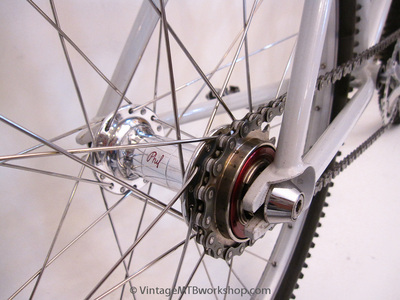 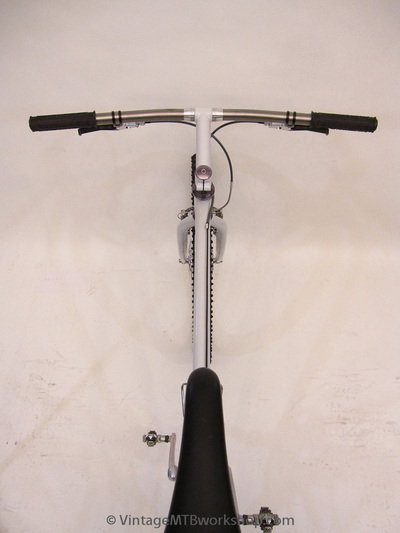 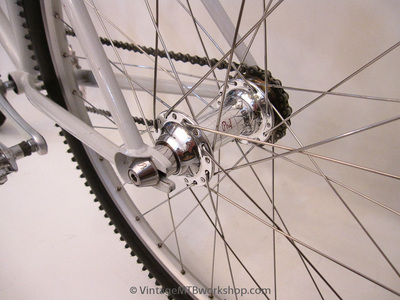 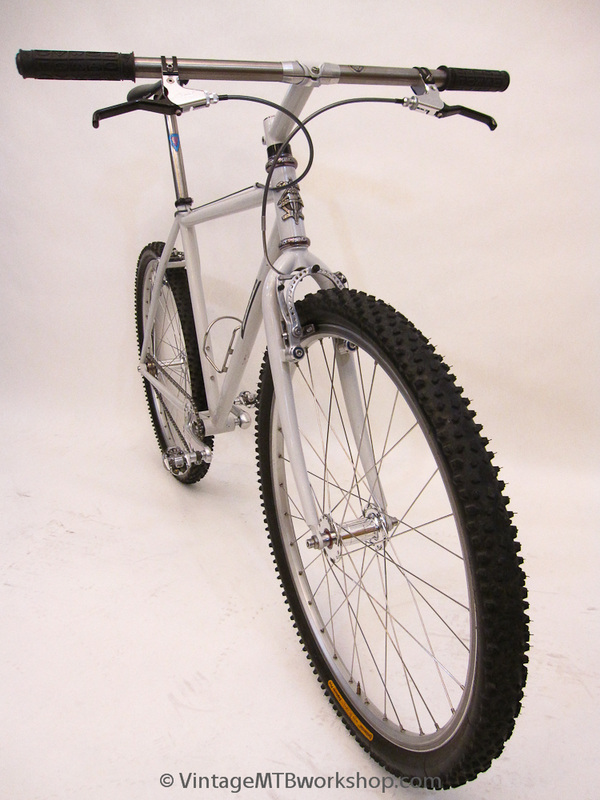 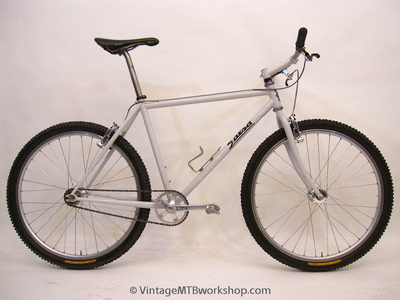 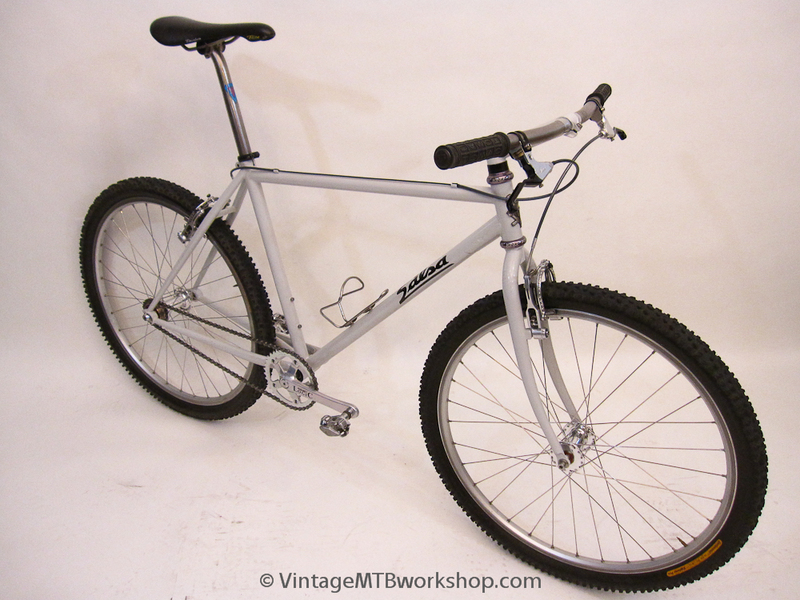 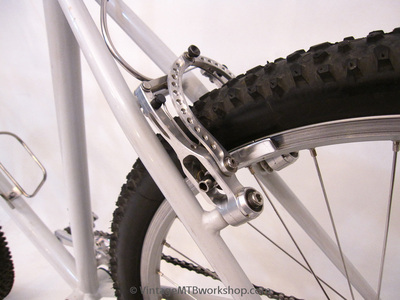 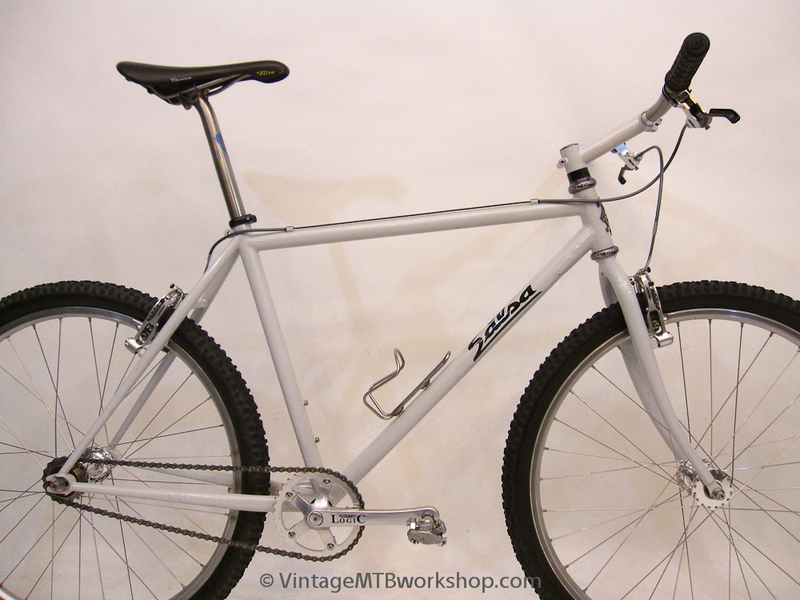 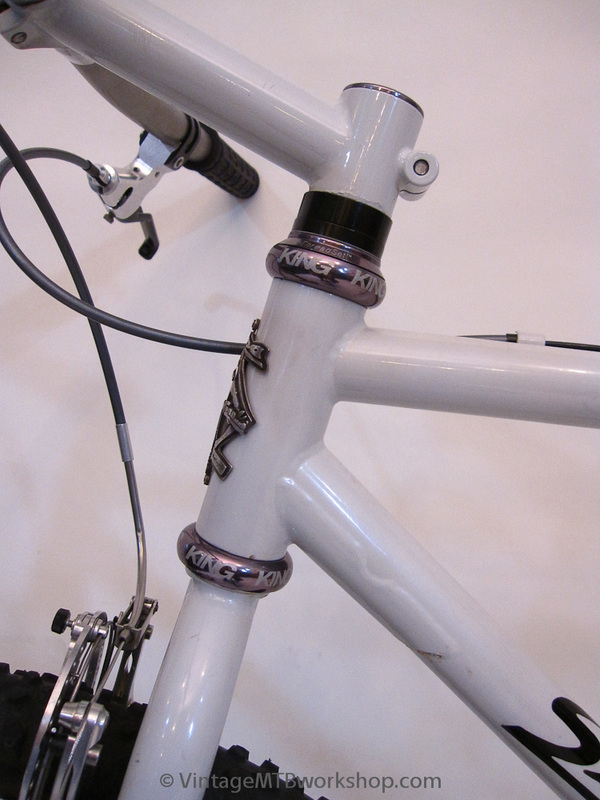 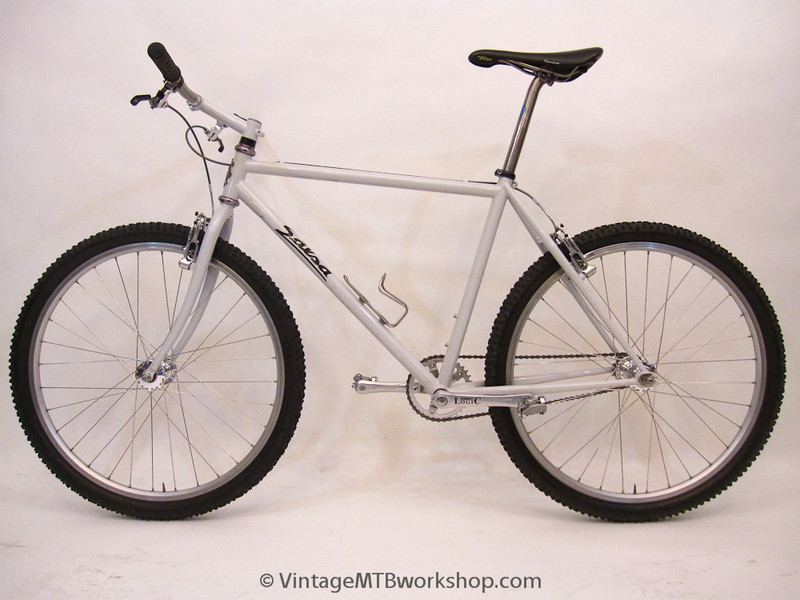 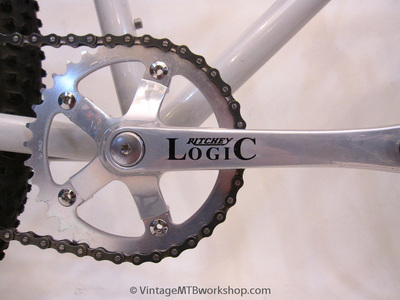 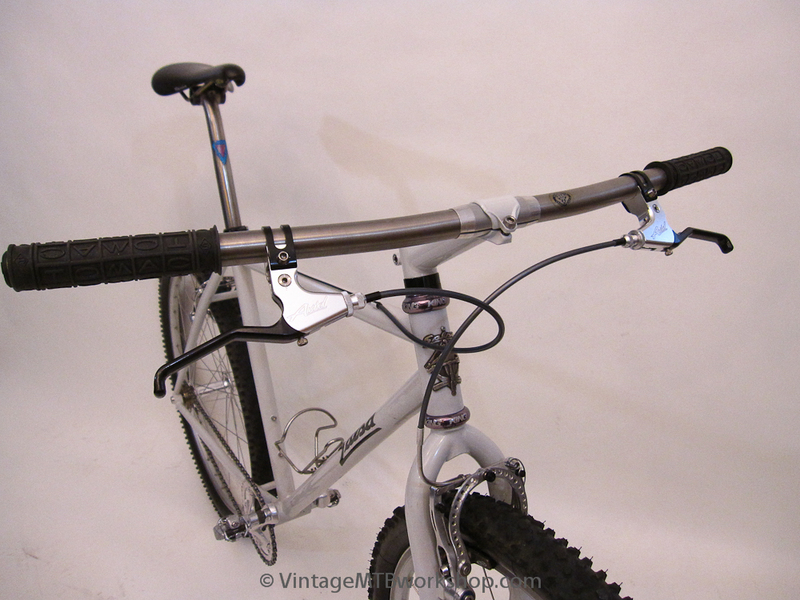 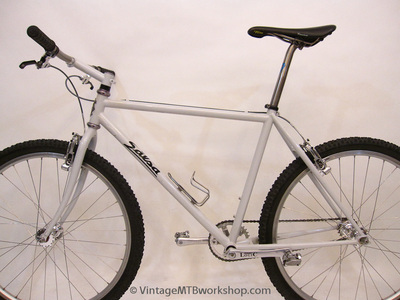 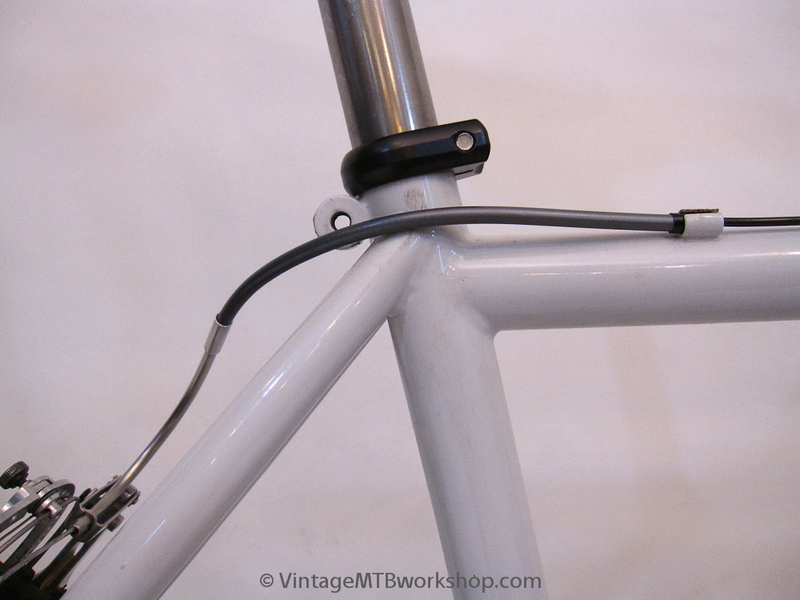 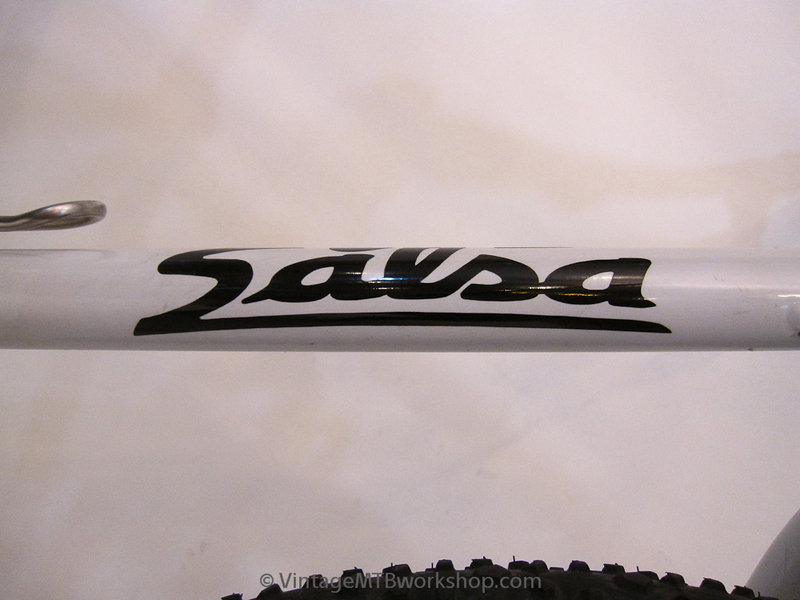 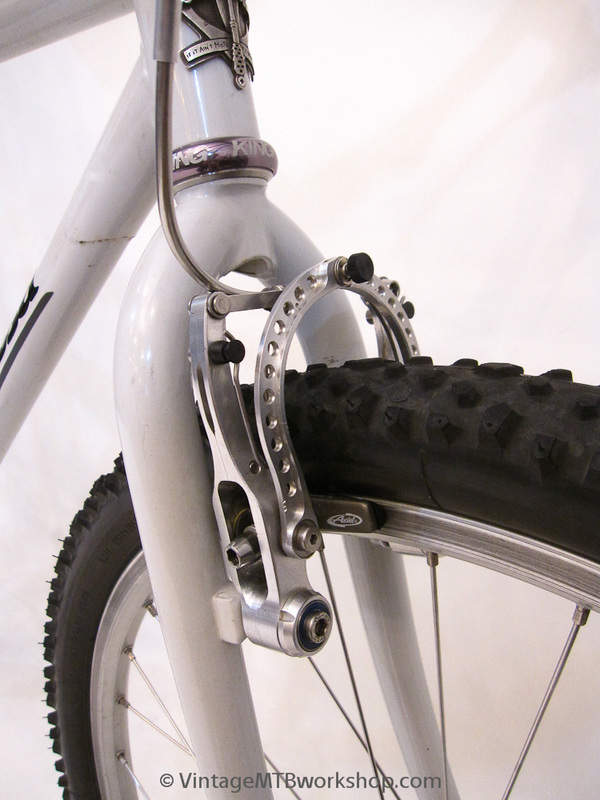 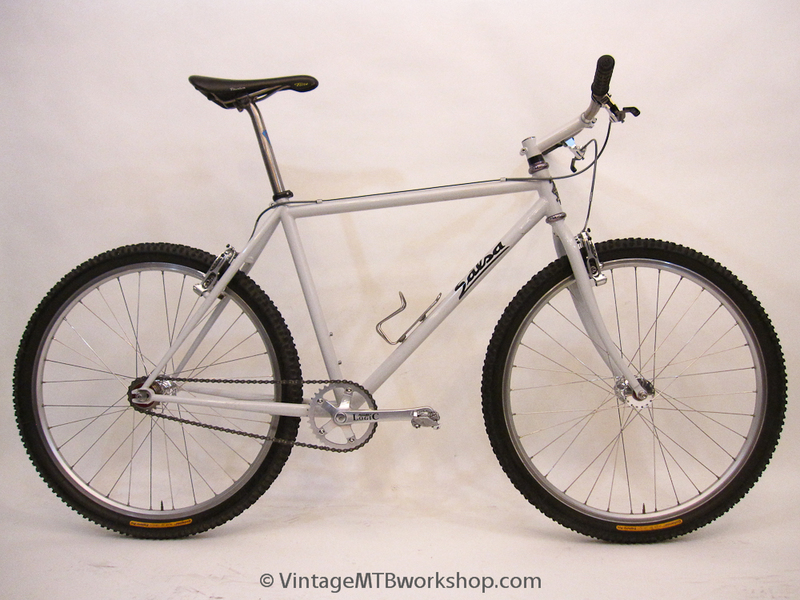 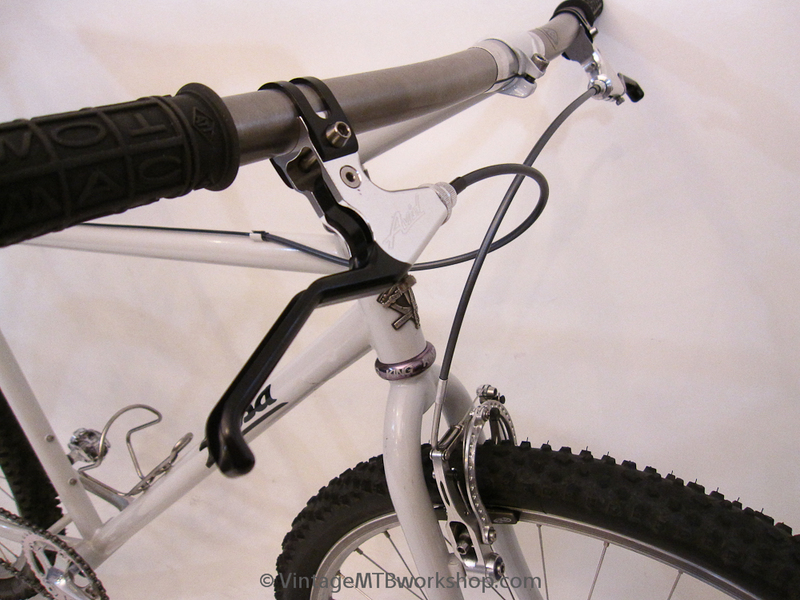 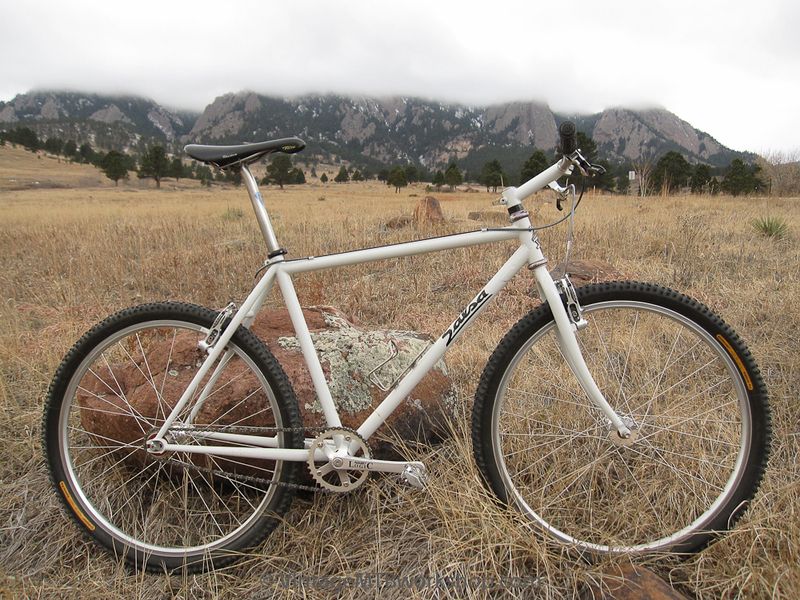 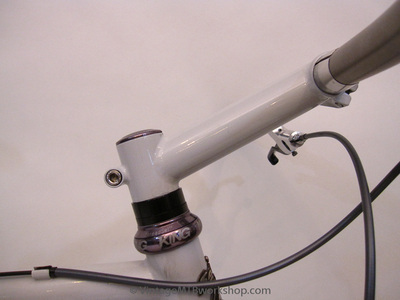 This Salsa Factory Single Speed was custom ordered through American Cyclery, and was more than likely produced at the Petaluma location during the transition in ownership to Quality Bicycle Products. 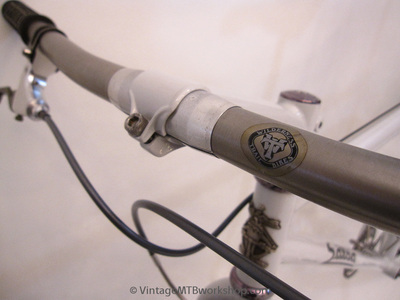 At the time, the popularity of single speeds was just starting to gain momentum, and the 29er phenomena hadn't yet begun. 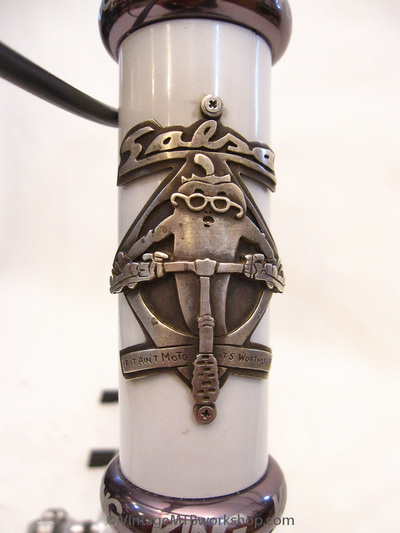 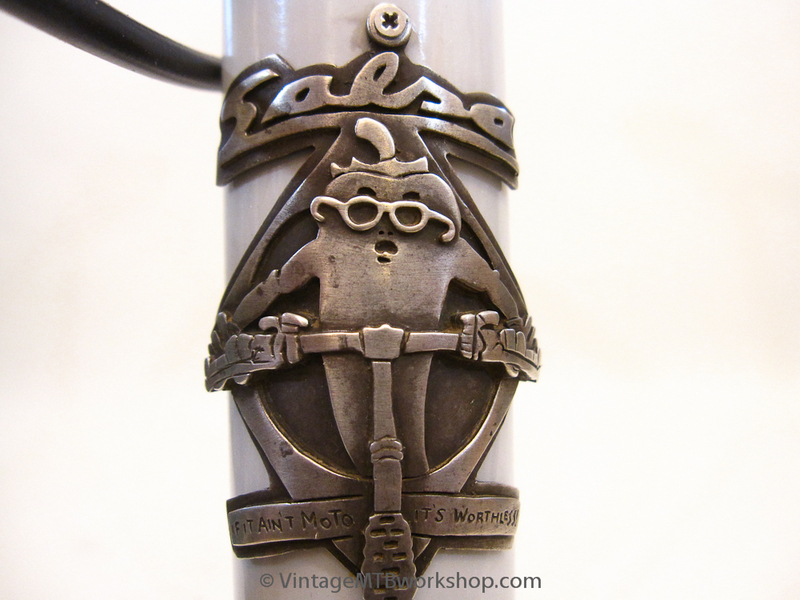 The frame received a custom, sterling silver headbadge by Jen Green that depicts the Salsa Pepperman and the motto, "If it Ain't Moto, it's Worthless!" This slogan was written on the kitchen wall of a group household in Santa Cruz, CA, known as "Hut Otis", where Salsa founder Ross Shafer lived on occasion.